A slice of French Polynesia awaits eight stories above Chicago’s bustling streets. It’s the new rooftop escape of condo-owner Sarah Hale, the winner of our Trex Destination Giveaway. Her wanderlust-inspired Pinterest board earned her $10,000 of decking materials—and the results did not disappoint. No penthouse is complete with a crumbling outdoor space. Poor maintenance had left cracked cedar boards under foot, and large plants had replaced broken railing. But with a new budget, Sarah, her husband Andrew and her father were ready to renovate. Trex decks may be easy to build, but transporting materials to the top of the condominium was no small feat. The three rigged a pulley system over the edge of the building to hoist some of the decking. "Despite all of this, it was worth it,"Sarah told Trex. The streaked umber tones of Trex Transcend® Havana Gold and Spiced Rum decking extend the Hales’s indoor aesthetic outside. 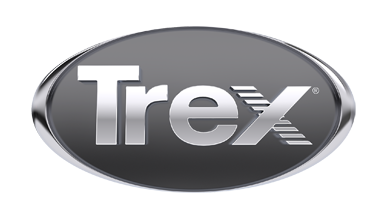 Trex Universal Hidden Fasteners eliminate unsightly screws Deck boards placed on the perimeter create privacy screens and, on one end, even make the perfect bar. “We’re blessed with a huge deck, but 90 percent of the time people gravitate to the bar,” Sarah said.